The “This Is America” series in progress is titled after Childish Gambino's song and video which speaks about racism, gun violence, popular culture and subsequently portrays America's dark history and how it unfolds in the 21st century in a powerful way. 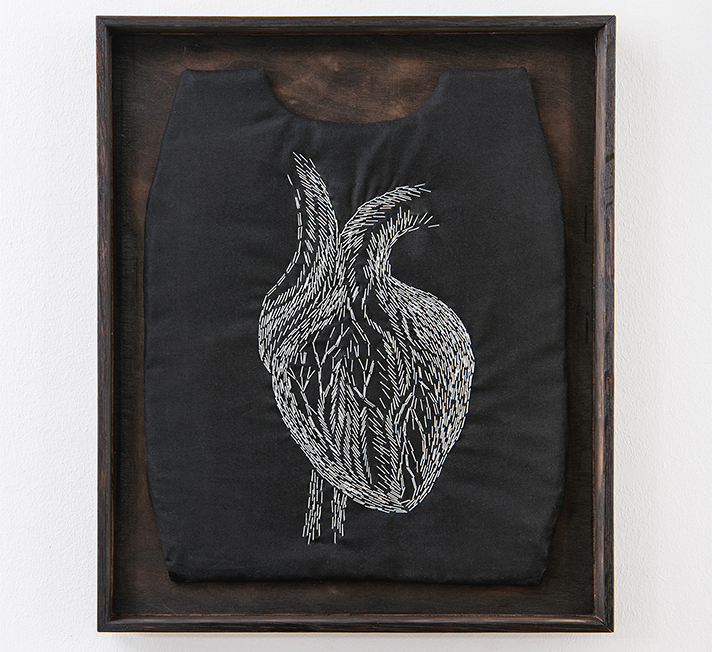 I shot this heart made of metal staples onto a bulletproof vest panel. I dedicate this work to victims of gun violence and police brutality in America. While doing this work I was thinking especially about security guard Jemel Roberson (26) who was shot on November 11th, 2018 at a bar in a suburb of Chicago. He was shot by a police officer while doing his job, detaining a man who was involved in a shooting. This is America at it's worst.